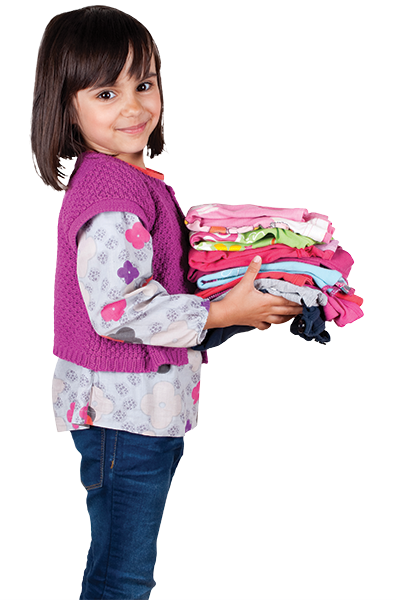 Assistance League of Irvine’s largest philanthropy is Operation School Bell, a free, confidential clothing service for children in need. Since the program began in June 1990, more than 12,000 students in the Irvine Unified School District have been served. Assistance League of Irvine works closely with teachers, school nurses and principals who identify children who would benefit from these services. Additionally, we collaborate with Families Forward and Human Options. Creative Educators Award is a grant program which provides grants to Irvine teachers for projects to benefit their students. Family Emergency Support program assists local victims of domestic abuse who find themselves at the Human Options shelter with nothing more than the clothes they are wearing. Household items and other goods are also provided when families transition out of the shelter into independent living arrangements. Share the Wealth of Giving program increases our return to the community by distributing excess and unusable donated items to other local non-profit agencies with 501(c)(3) status, or entities otherwise pre-approved for such donations (e.g., Working Wardrobes, Clothing the Homeless), and are not to be sold for a profit. The Young Masters Art Show is held in April or May at the Irvine Civic Center in conjunction with Orange County’s Imagination Celebration (www.sparkoc.org) and the Irvine Unified School District. The works displayed are selected by the District’s classroom teachers and art specialists; one piece of artwork per classroom, grades K-6, is chosen at each school. The art is on exhibit in the Irvine City Hall lobby throughout the two-week celebration. Highlighting the show is Festivities Day, where our honored artists, their families, friends and community leaders partake in an afternoon of live music, hands-on art projects and fun. Assistance League of Irvine funds this event, which is free of charge to all. Program to provide scholarships based on financial need for SAT and/or ACT prep classes for students currently in their junior year attending an Irvine Unified high school. Students receiving Prep for Success scholarships may sign up for the SAT/ACT combo class, SAT only, or ACT only. Classes are conducted by CCPrep. All classes are taught in small groups of approximately 10-12 students in order to maximize individual attention. Practice tests and final reviews are in larger groups. All classes are taught by CCPrep instructors. If a student has a conflict with part of their schedule, CCPrep will do their best to offer alternative options. Classes are offered after school or evening with some sessions on Saturday or Sunday. All courses include 30-60 minutes of homework between sessions. 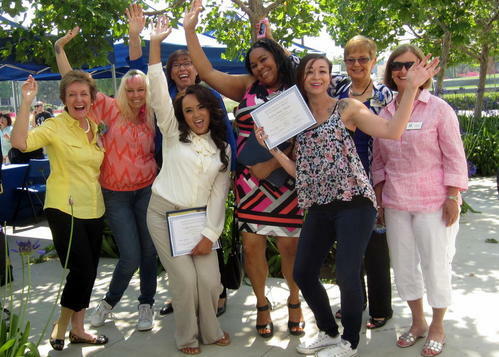 The Assistance League of Irvine – Irvine Valley College Scholarship Program was established in 2007 with a $10,000 endowment and a strong belief in the benefits of earning a college degree, along with our desire to promote higher education in our community. 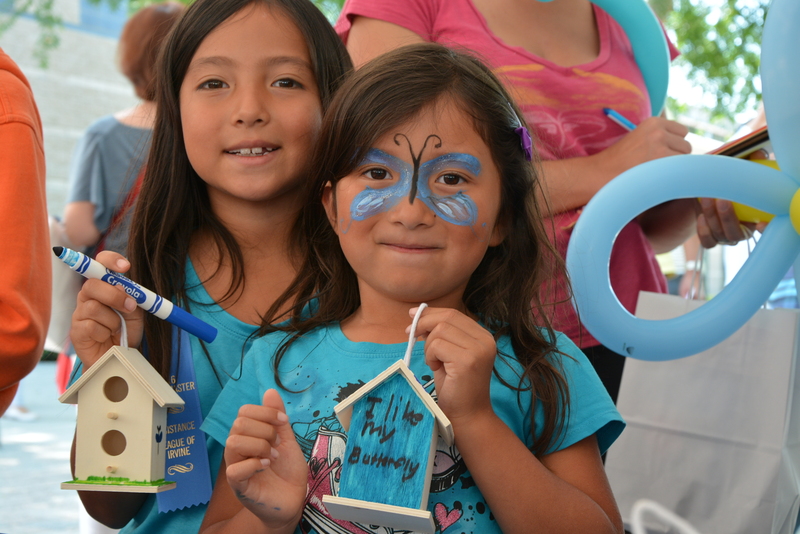 From the interest earned on the principal balance, along with additional philanthropic-program funds designated by the Chapter, scholarships are awarded each year to deserving students attending Irvine Valley College. In 2014, Assistance League Irvine established a new philanthropic program which provides needs based scholarships for qualified Irvine Unified School District graduating seniors planning to attend Irvine Valley College. To date, more than $107,150.00 in scholarships has been awarded. This program is continuing with a minimum of $10,000 in scholarships available to IUSD seniors graduating in 2019. The deadline for the 2019 applications is Friday, March 29. Awards will be announced in early May. Challenged teens and adults are given on-site training at Assistance League of Irvine Thrift & Gift Shop during regular business hours. Assistance League of Irvine established a Vision Care program in 2014 to underwrite the expense of new glasses for income-qualified students attending Irvine Unified School District campuses. We work with Irvine optometrist Dr. Bryant Vo and Dr. Richard Sarlitt from Parkview Optometry, who performs the eye exams. If corrective lenses are prescribed, a student can select his or her frame of choice from a wide variety of contemporary styles. Typically within 10 working days, a student’s family is notified that the glasses are ready for a final fitting and pick up.